For weekend gardening chores, refer back to the Dec. 12 “In the garden this week” for the remainder of the winter. And don’t forget to get out there and prune! 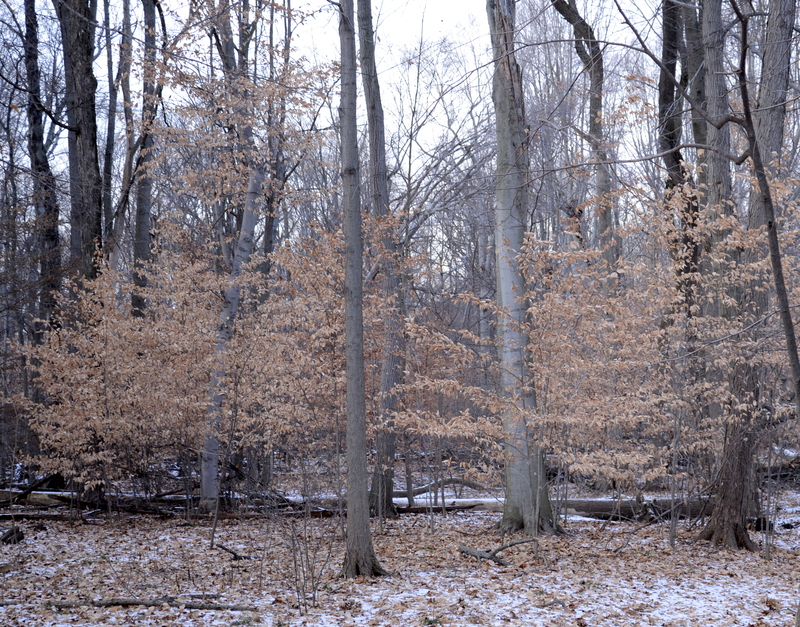 This is a grove made up primarily of beech trees (American beech, Fagus grandifolia) in the Glen Rock/Ridgewood area of the Saddle River County Park. 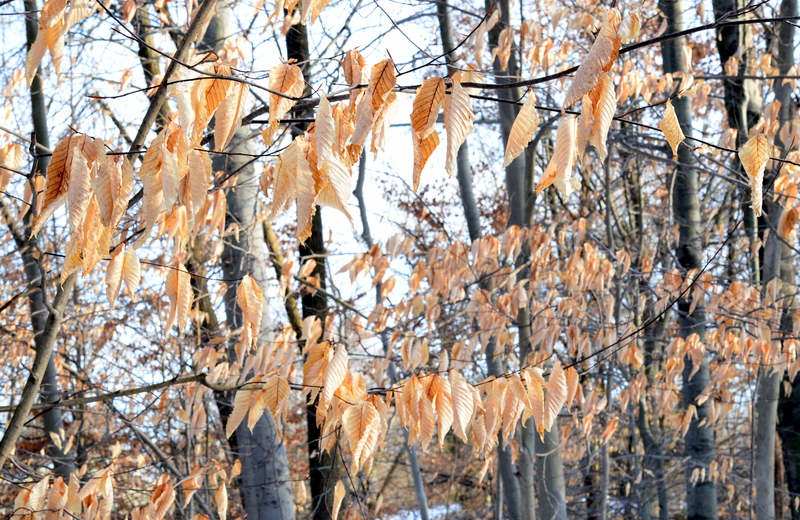 Beech groves are particularly beautiful in winter, I think, because the young trees retain their leaves. 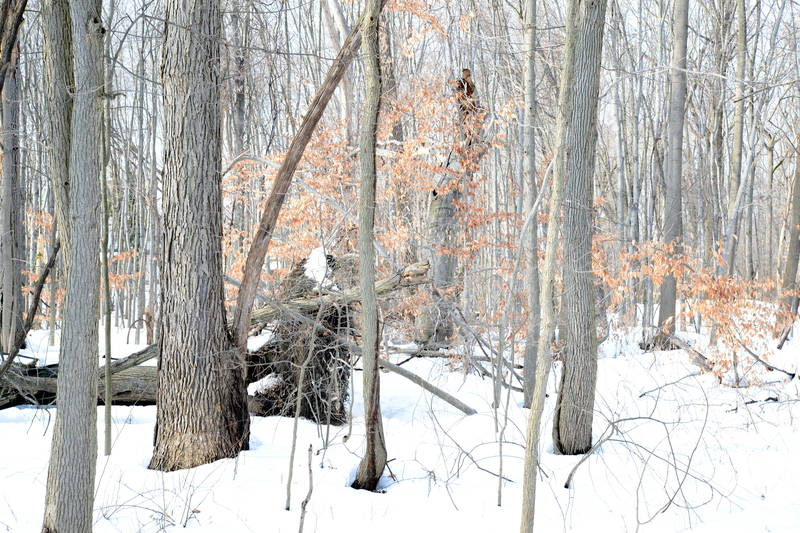 They turn an agreeable golden tan color that enlivens the winter woods. Much of this area was originally fiver flood plain, and we’re lucky because it’s still criss-crossed with many small streams. Ecologists would call the original assemblage of plants and animals here a northern riverine forest. Typical trees are beech, which in dryer areas grows in association with sugar maples; in wetter areas, with red maples. These forests would also have contained several species of ash, catalpa, poplars, willows, birch, and oaks, varying by soil type, elevation, and the amount of flooding they typically received. In some places you still see many of these native trees. Trees tell us a lot about the way the land used to be, because they live so long. 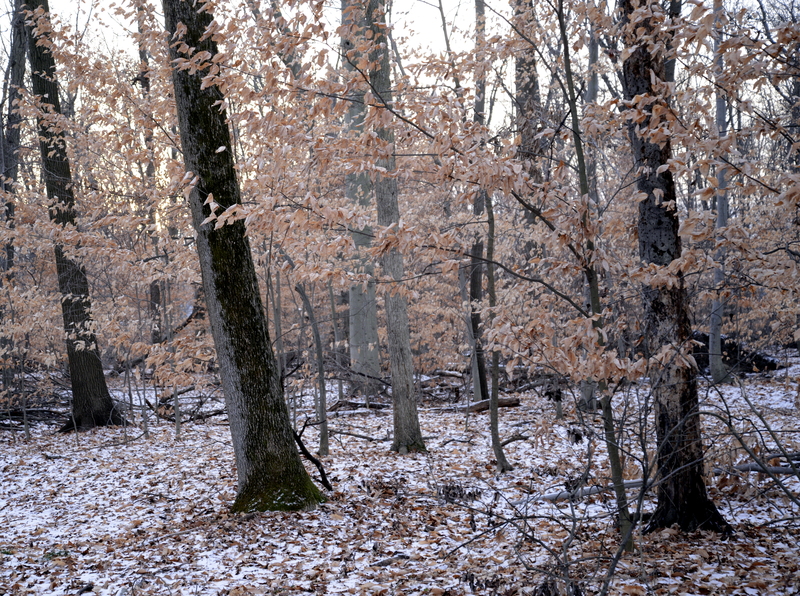 Our forests’ shrub layers and understory have disappeared, eaten by deer, shaded by alien trees, and removed by plant collectors, but the trees remain, telling tales about the original landform and ecology. They give us a sense of place. For much, much more information about the environmental importance of beech trees–the ecological services they provide to other species–see The Natural Web blog.